Watch your rear fender, KITT! 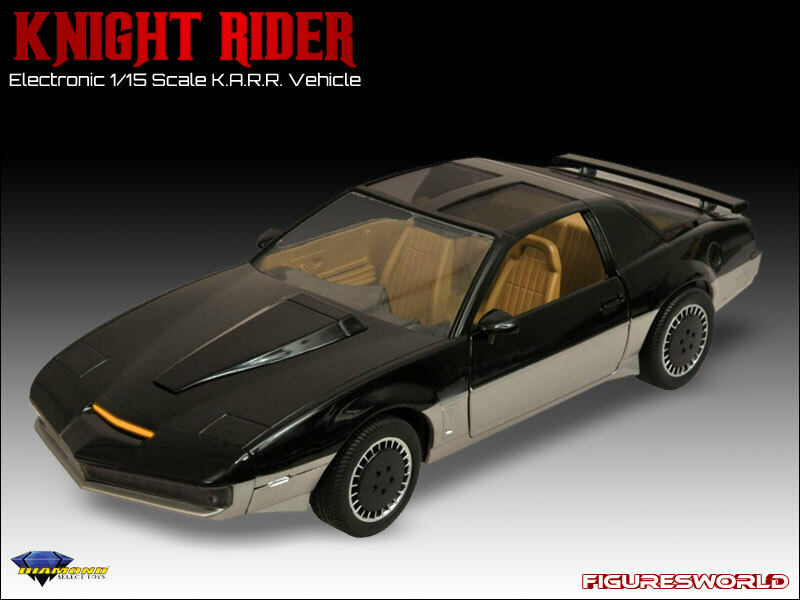 The evil vehicle KARR (Knight Automated Roving Robot) appeared in two of the most popular episodes of the classic TV show Knight Rider, where he quickly established himself as one of the greatest vehicular bad guys ever! An early prototype of KITT that later became his greatest foe, KARR is now a 1/15 scale electronic replica, measuring 14 inches long with working lights and sound effects, including some of KARR's classic dialogue from the show! Packaged in a window box with a try-me button.